Zhang Ziyi is an actress of Chinese origin. Zhang is supposedly among the four “Dan Actresses” of China. Her role in Crouching Tiger, Hidden Dragon (2000) earned her critical acclaim and the Independent Spirit Awards for 'Best Supporting Female'. Zhang Ziyi was born on 9 February 1979 in Beijing, China. Her father, Zhang Yuanxiao is an accountant and economist and her mother, Li Zhoushen is a kindergarten teacher. She has an older brother, Zhang Zinan. Zhang studied dance from the age of eight and enrolled in the Beijing Dance Academy. She did not complete her training. Zhang bagged the national youth dance championship when she was just 15 years old. She featured in television advertisements in Hong Kong. 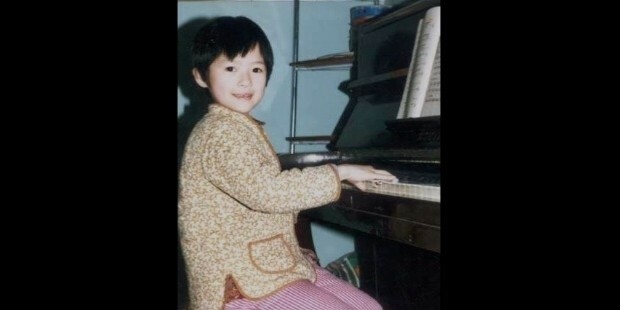 Zhang joined China's renowned Central Academy of Drama at the age of 17. Zhang bagged her first role in the film, The Road Home.The film won the 'Silver Bear' prize at the Berlin International Film Festival 2000. She became an international celebrity with her role in Crouching Tiger, Hidden Dragon in 2000. Her acting prowess earned her the Chicago Film Critics Association Awards, Toronto Film Critics Association Awards and Independent Spirit Awards. Zhang was shortlisted for the BAFTA Award in the category of 'Best Actress in a Supporting Role'. Zhang first starred in an american film, Rush Hour. Her role in the film Hero earned her a nomination for the Oscar and a Golden Globe award for 'Best Foreign Language Film'. Hero did well at the box office in the US. Zhang's film, Purple Butterfly was shortlisted for the Cannes Film Festival in 2003. Zhang's rise in the world of cinema has been meteoric. She was shortlisted for the BAFTA Award for 'Best Actress in a Leading Role' for her acting skills in House of Flying Daggers. Zhang performed in the soundtrack of the film. She was the protagonist in the film, 2046 and grabbed the BAFTA Award for 'Best Actress in a Leading Role'. Success continued to smile upon Zhang! She played the lead role in the American film based on the international bestseller Memoirs of a Geisha. Zhang was selected for the the BAFTA Award for 'Best Actress in a Leading Role', the Golden Globe Award for 'Best Actress – Motion Picture Drama', and the Screen Actors Guild Award for 'Outstanding Performance by a Female Actor in a Leading Role'. Zhang was invited to be a member of Motion Picture Arts and Sciences (AMPAS) in 2005. The membership made her eligible to vote on the Academy Awards. She was on the panel of judges for Feature Films at the 2006 Cannes Film Festival 2006. Zhang did the voice-over for TMNT, an American animated film in 2007. She appeared in the Americam film, The Horsemen in 2009. Zhang appeared in a minor role in the historical film, The Founding of a Republic. The film is a tribute to the completion of 60 years of the People's Republic of China. Zhang starred in the Chinese-Korean co-production Dangerous Liaisons, an adaptation of the French novel, Les Liaisons dangereuses. Zhang was a judge in the first season of the The X Factor: China's Strongest Voice 2013 and the mentor for the 'boys' category. She was on the jury of Un Certain Regard at the 2013 Cannes Film Festival. Zhang has been the face of Omega watches since 2009. She was the brand ambassador for Visa, Maybelline and Garnier. Zhang is the Precious Platinum Ambassador and the Special Olympics' Global Ambassador. She was selected as the ambassador for the 'ScreenSingapore 2011' film festival. Zhang represents the foster-home programme in China, "Care for Children". Zhang is engaged to the Chinese rock artist, Wang Feng. They were blessed with a baby girl in December 2015. She was previously engaged to Aviv "Vivi" Nevo, an Israeli capitlist, but the relationship did not work out. She dated Sa Beining, CCTV host for some time. Zhang is a connoisseur of the works of the contemporry Chinese artist, Shen Jingdong. Zhang Ziyi won the Independent Spirit Awards, the Chicago Film Critics Association Awards, Toronto Film Critics Association Awards and Independent Spirit Awards for her role in Crouching Tiger, Hidden Dragon (2000). She was also shortlisted for the BAFTA Award for Best Actress in a Supporting Role. Her role in the film Hero earned her a nomination for the Oscar and a Golden Globe award for 'Best Foreign Language Film'. Zhang grabbed the BAFTA Award for 'Best Actress in a Leading Role' for the film 2046. She won the Asia Pacific Screen Awards for 'Best Performance by an Actress' for the film, The Grandmaster' in 2014. Zhang was conferred the “Outstanding Contribution to Chinese Cinema” award at the 11th Shanghai International Film Festival in 2008.